4 Days of Painting Instruction! Learn to paint outdoors in one of the most beautiful cities in the world, a UNESCO-designated World Heritage site listed by Condé Nast Traveler readers as one of their Top 25 Destinations in the World. (They actually give SMA first place!) Come paint beautifully preserved 16th-century Baroque/Spanish architecture, and experience rich and vibrant mestizo culture, and dine in fabulous cafes and restaurants, all while being team-taught new exciting ways to paint en plein air by three internationally-renowned instructors! Thomas Jefferson Kitts, who recently led a 7-day workshop in Tuscany. Anne Blair Brown, who is currently featured on the September 2014 cover of PleinAir Magazine! Frank Gardner, who not only paints and teaches in San Miguel, he also lives there. There will be plenty of opportunities for you to paint, with ample one-on-one instruction tailored to your individual needs. All instruction will be offered in English, and coordinated to avoid unnecessary overlap. This workshop will also be an informal cultural exchange. Many artists from Mexico City have already registered and they will be fun to paint and socialize with before, during, and after class. You can make new friends and work on your Spanish too! This will be a cultural experience as well. 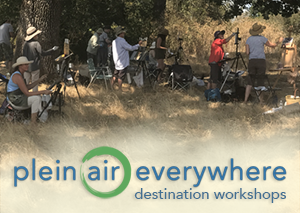 You will not only be learning from three excellent instructors you will be painting and socializing with plein air painters from Mexico City! So you can work on your Spanish at the same time you are painting, if you wish. San Miguel de Allende was founded in the 17th century at the epicenter of the Spanish silver empire, and it has had a long history with the arts. So the people who live there love to welcome painters from all over the world. 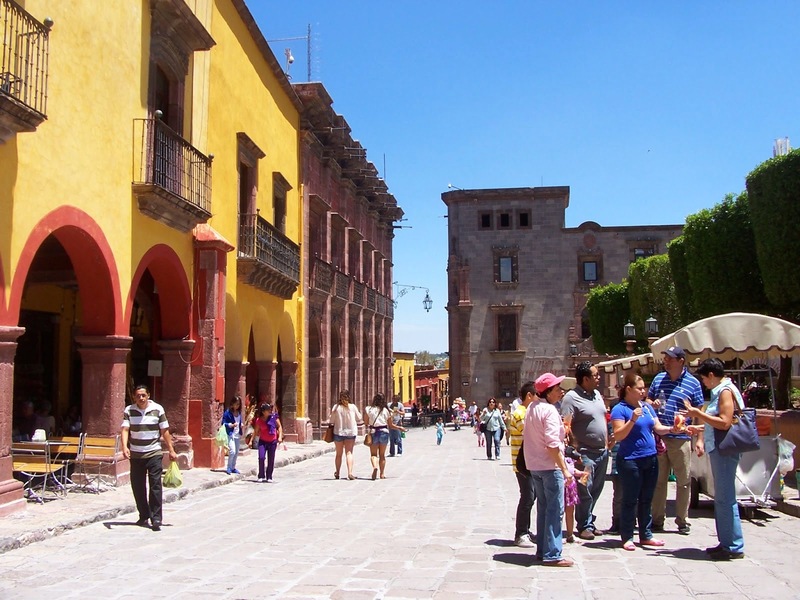 There is a large American ex-pat community, a solid infrastructure, and an international airport close by, all of which make San Miguel de Allende an easy and inexpensive international destination. Here's the bottom line: SMA is the perfect location for any artist looking for easy in-and-out travel that also offers exotic and exciting subjects to paint! So don't wait. This workshop will fill quickly. paint in the heart of Mexico! We have 9 registrants already! Cost if purchased in one single payment: 10,000 Mexican pesos | approx. $773 USD, depending upon that day’s exchange rate. Cost if purchased over six installments of 1,917 Mexican pesos | approx. $889 USD, depending upon that day’s exchange rate. What language with this workshop be taught in? Our instructors are American and they will offer instruction in English. Will there be transportation from the airport to the workshop? You are responsible for arranging transportation to your lodgings in San Miguel Allende. 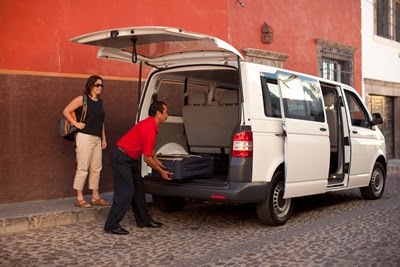 If you fly into Queretaro (less than 30 minutes away by car) you can either hire a private taxi or take a bus. Both are inexpensive options. The bus system in Mexico is fantastic and easily navigated by Americans, and if you purchase a 'Primera Plus’ class ticket your ride will more comfortable than most first class airfare. Is lodging included? You are responsible for booking your own lodging. We can recommend several hotels close to the Jardin in the most picturesque part of town. We also recommend using www.AirBnB.com as there are many short term rentals available at surprisingly affordable prices. However, San Miguel Allende is a popular international destination so it is best to reserve in advance. Will transportation be provided to and from our painting locations during the workshop? Yes. We will meet every morning before the instruction begins. Transportation to and from painting locations outside of San Miguel Allende will be provided. 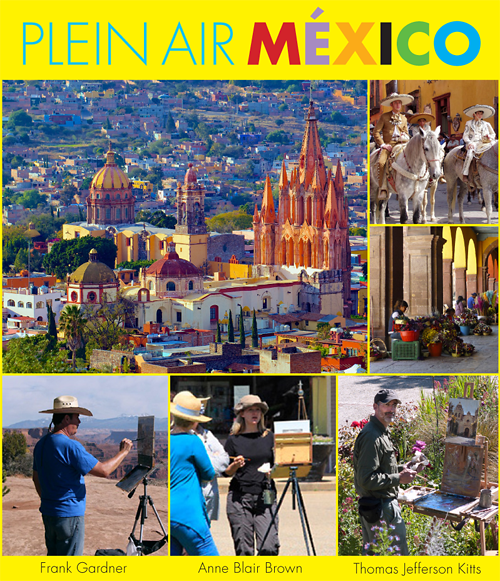 We will walk to any painting location within San Miguel Allende. Do I provide my own paint and materials? Yes. You will be provided a material list after you register. 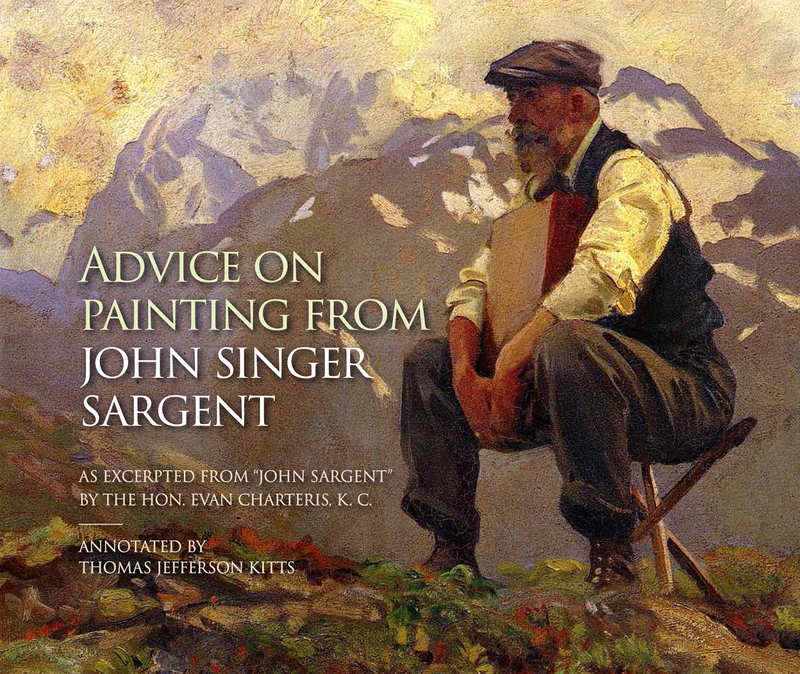 If you paint in oils then you may already have much, if not all of the things you will need. 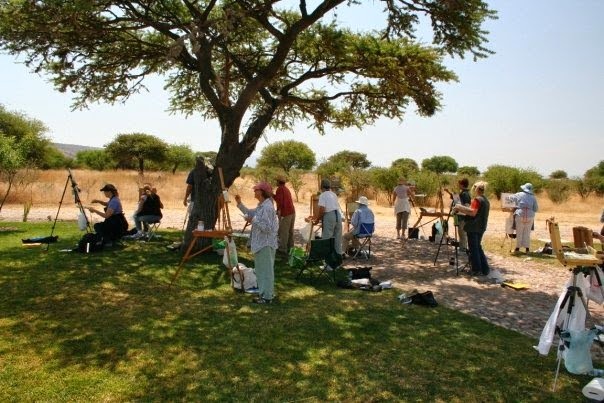 However, you must bring a portable easel suitable for plein air painting for this workshop. If you do not already own such an easel then we can offer recommendations. Are there art supplies available in San Miguel Allende? There are some supplies but only the basic items. So we strongly recommend you come prepared with what you find on the workshop material supply list. Is there something to do for non-painting spouses and partners? Yes, there are many things to see and do in San Miguel Allende besides painting. 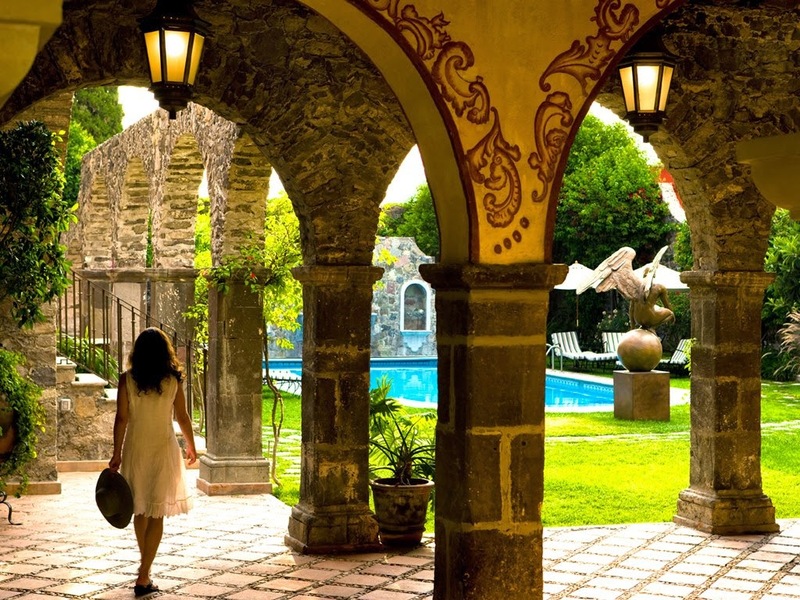 SMA is a romantic get-away destination visited by honeymooning Mexican couples and by people on long weekends out of Mexico City. There is always something going on. It is filled with culture, fine dining, and shops of all kinds. There are luxurious hot springs and spas nearby, horseback riding, and day hikes. Even yoga for those looking for a moment of relaxation and calm. There is a large ex-pat community from all over the world. There is bull fighting, artisan-cafe culture, and a vibrant night-life. Just walking around in the streets can easily fill several days. We will be happy to provide a list of enjoyable activities for you and your partner to consider after registration. You can expect your fellow students to be interested in touring the town as well. How do you select your instructors? They are vetted carefully and with deliberation. They know each other and we know them and their work first-hand. They have been selected based on their reputation, experience, excellence of teaching. How can I confirm you have received my deposit? You will a notification welcoming you to the workshop after we receive your deposit.